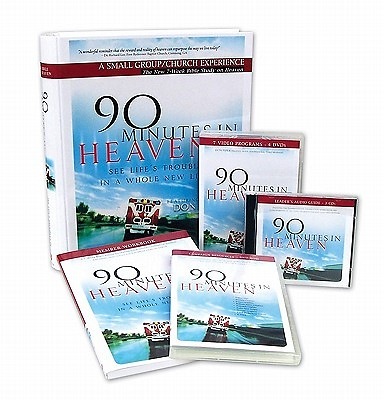 Bestselling "90 Minutes in Heaven" is now available as a video curriculum for small groups. This 7-week Bible study on the subject of heaven is based on Don Piper's incredible true story and encourages participants to discover the wonder and joy they can have as they live with the expectation of the place God has prepared for them. Small groups, Bible study groups, and therapy groups will find that this thought-provoking material helps their members see life's troubles in a whole new light. This kit contains seven video sessions and one member workbook.